Janine Dawson was walking on the streets in Manchester, England, and she heard a strange sound that caught her attention. This frantic sound signaled that someone needed help. 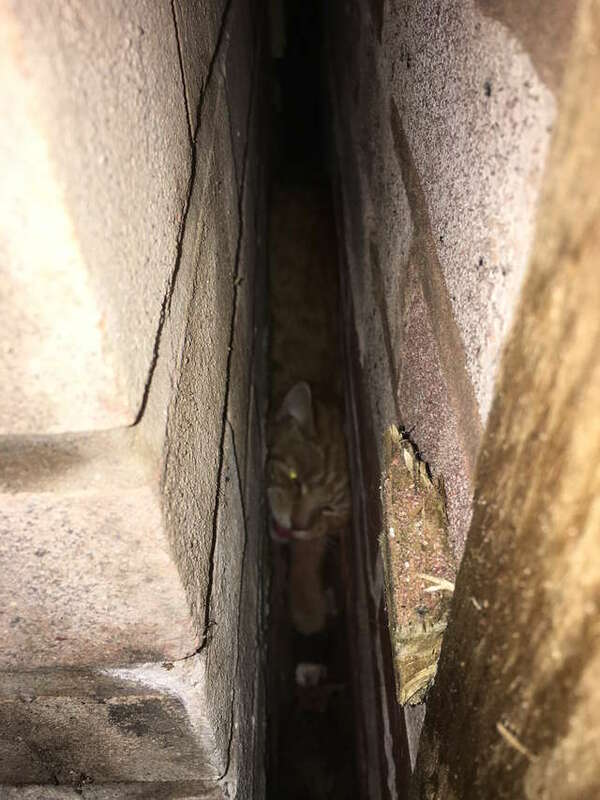 Then she discovered a little cat trapped between two buildings.